Map your Project data fields. The CSV columns now have corresponding default camera card fields taken from your CSV file. You can edit the column names that print on the cards in the right column. Otherwise, they'll print as shown. You can preview the cards by clicking the "Sample Cards" button. 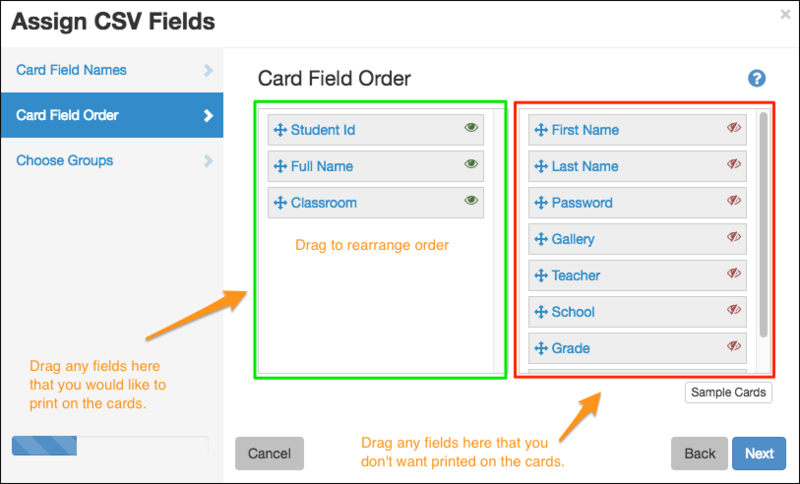 CARD FIELD ORDER: Select the columns and order that you would like them to appear on your camera cards. 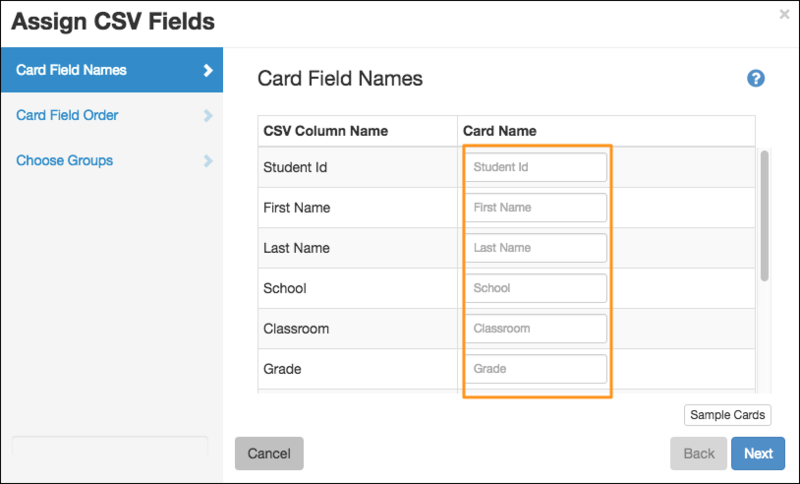 Drag any fields you'd like to omit from printing to the right column. Snapizzi creates a “Full Name” column for you if there are first and last name columns and no existing "Full Name" column. CHOOSE GROUPS: Choose which column defines your group photos. 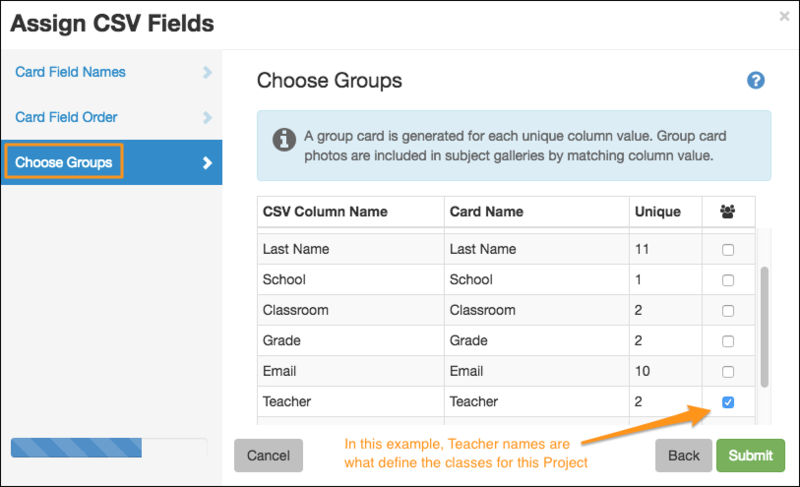 In this example, a class card would be printed for each teacher listed in the CSV file. Adding an asterisk* to the name of the column header of your groups on your CSV file will automatically tell Snapizzi the column defines your groups. It isn't required, but if not done, you'll do it here. Need to make changes to your data? You can easily edit your CSV file to set gallery names, passwords, search, and more. • Can I edit a CSV after uploading?